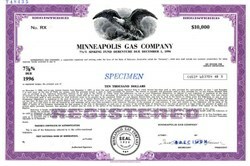 Beautifully engraved SPECIMEN certificate from the Minneapolis Gas Company. 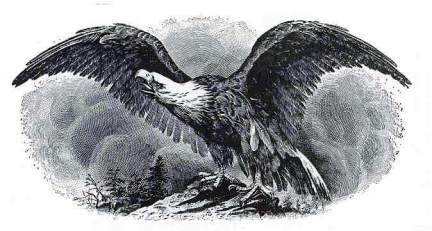 This historic document was printed by the Security-Columbian Banknote Company in 1976 and has an ornate border around it with a vignette of an eagle. This item has the printed signatures of the Company’s President and Secretary and is over 26 years old. Reliant Energy Minnegasco serves more than 700,000 customers in 246 Minnesota communities with natural gas and home products and services. They are part of Reliant Energy, an international energy delivery and energy services company headquartered in Houston, Texas.